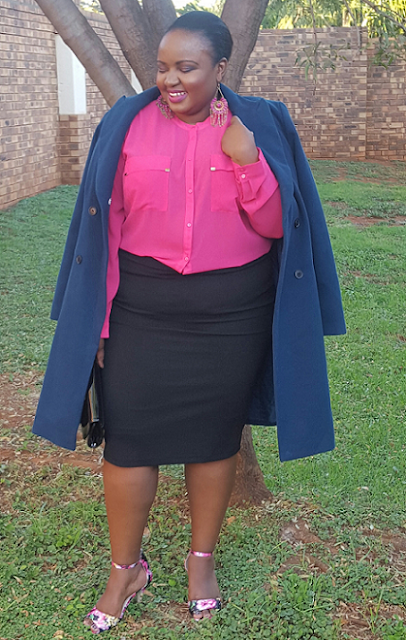 Sindiso is a young, vibrant and career driven woman. She is a hardworking individual who is driven by success and challenges. She is not phobic to change and believes a person should embrace challenges in order to learn and improve their craft. She has a 9-5 job as a business analyst and a 24 hour job of striving to be the best human being she can be to herself and those around her. She loves travelling, fashion, reading books and cooking for her family whenever an opportunity presents itself. In her next life, she would either be a gourmet chef or a fashion designer. Now she has embarked on a journey of rediscovering who she is and what she loves about herself. And on this quest called life, she will be sharing her highs and lows of life through words, clothes and pictures. Lastly she is a wife to a wonderful and God fearing man, a sister and a confidant to many. So please, do join her on this journey, all she can promise is that she is willing to take you on and hopefully grow together with her. Also, she welcomes you to share tips and advice on your personal journeys and/or experiences.